This special issue of the Journal of Reliable Intelligent Environments (JRIE) contains a selection of extended versions of papers presented at the international SITIS 2015 conference held in Bangkok, Thailand. The SITIS conference is dedicated to research on the technologies used to represent, share and process information in various forms, ranging from signal, image, multimedia data, structured and semi-structured data to the emerging intelligent devices and various networks found in the Internet. SITIS spans two inter-related research domains that increasingly play a key role in connecting systems across network-centric environments to allow distributed computing and information sharing. The conference includes four main tracks “Signal Image & Vision Technologies” (SIVT), “Multimedia Information Retrieval and Application” (MIRA), “Intelligent Web Computing and Applications” (I-WeCA) and “Social Networks, Large Networks and their Applications” (SLNA). The tracks are focused on current issues and solutions in image-based intelligent applications, large-scale information systems and fault-tolerant services-based systems. 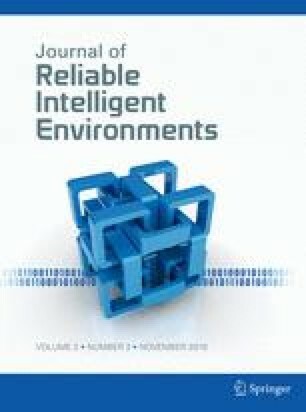 The Journal of Reliable Intelligent Environments focuses on theoretical developments and various techniques for the deployment of safe and widely accepted intelligent environments. It offers a broad coverage of intelligent environments ranging from smart wearable networks to sensor networks. The focus of this special journal issue is on intelligent systems and applications on image and information processing with a keen emphasis on dependability and quality-related issues. Investigation on intelligent systems in image and information computing is one of the most challenging tasks in computer science. The main goal is to improve system performance and also to elaborate systems based on an efficient utilization of the involved materials and data. Four papers were selected for this special issue, covering two broad research areas of the SITIS conference. The first two papers are concerned with Internet-based computing, while the remaining two papers are related to image processing on biometric applications. In the paper “Network Virtualization by differentially switched VPN for stable business communication with offshore computers”, Hiroshi Fujikawa, Ernesto Damiani, Yukiko Yamamoto, Hirofumi Yamaki and Setsuo Tsuruta focus on performance, quality of communication links and dependability issues in offshore access of cloud and remote systems. Specifically, the paper deals with temporary intentional blocks or permanent barriers that may introduce significant network latency or quality of service (QoS) degradation. The authors of this work propose a network virtualization method and a tool based on stepwise recognition of round trip time (RTT) increases that are caused by intentional blocks of international communication links. The solution predicts and offsets the impact of intentional blocks or restriction using RTT differential calculus to recognize the start of restriction in the early stage, by automatically switching to virtual private network (VPN) to avoid an increase in network latency and by relying on non-differential threshold value and elapsed time to determine the end of restriction due to intentional blocks and to switch back from VPN to Internet. The proposed method is validated by quantitative analysis on latency data corresponding to real blocks. The proposed tool has been tested through a relatively long usage period in more than 50 offices to confirm its dependability, performance and cost. The paper “One IoT: An IoT Protocol and Framework for OEMs to make IoT-enabled devices forward compatible” addresses many issues arising from the Internet of things (IoT) which is becoming ubiquitous in everyday life and provides great opportunities and challenges for equipment manufacturers and vendors. These issues range from generic household, wearable smart devices, health care, and public utility to reliable sensor network. The paper stresses the growing needs for reference architectures, frameworks, and platforms and standards. Gourinath Banda, Chaitanya Krishna Bommakanti and Harsh Mohan present a framework and protocol that is unconditionally forward compatible. This work defines the minimal criteria for a device to qualify as an IoT-enabled device, providing IoT OEMS a reference to build IoT-devices across varied applications and domains. This framework can help OEMS make an informed choice amongst various target architectures and allow them to generate user interface/s on the fly depending on devices’ functionalities. The paper “A Novel Approach for Face Detection Using Hybrid Skin Color Model” deals with human face detection in real and cartoon images. This domain has become an area of interest since it is involved in various biometric applications such as access control, security-related areas, crowd surveillance and human-computer interaction. Despite the substantial advances in recent years, face detection remains challenging due to, first, many issues directly related to system acquisition such as varying illumination conditions, color variance, pose variations, complexity of noises and image backgrounds; second, due to the presence or absence of structural components including beards, shades and eyeglasses. Shalini Yadav and Neeta Nain propose a localized method for face detection based on skin color region segmentation and facial features. The proposed method uses various skin color models such as RGB, YCbCr, HSV and their combinations for the skin color detection. The main goal is to decrease the computational complexity. These segmented skin regions are then classified as face or not by using, on the one hand, a set of facial features such as eye–mouth holes and, on the other, morphological features such as face bounding box and eccentricity ratio. The paper “A Novel Fingerprint Indexing Scheme using Dynamic Clustering” addresses the indexing problem for fingerprint identification. Biometric data are becoming the most robust features for various identification processes. Consequently, the increase of database size strongly requires efficient indexing techniques. In case of identification, the problem involves in 1:N matching tasks which can be considerably time consuming computationally, considering the size of the fingerprint database. The contribution of Munaga V N K Prasad and Ashima Jain proposes two robust feature extraction schemes, based on neighboring relation using rectangle and the construction of triangle spiral. Then the indexing is performed by using a dynamic clustering of the feature vector and the m-ary trees. The performance of the proposed method was assessed by 100% hit rate and very interesting penetration rates on much known databases. This special issue would not have been possible without the contribution of many people. We wish to thank all the authors for their contributions to this special issue. We also would like to express our sincere gratitude to all the referees for their invaluable contribution in ensuring the quality of the submissions for this issue despite the short review period. Our most sincere kudos to Dr. Juan Augusto and Antonio Coronato for editorial guidance and support. We thank Saranya Gopulu and the Springer editorial office for assistance and production help. Albert Dipanda, Ernesto Damiani, and Kokou Yetongnon.